In the 1960s, Woody Allen bemoaned the fact that it was impossible to get a divorce in New York unless one spouse could prove the other's infidelity. "The Ten Commandments say, 'Thou shalt not commit adultery,' " Allen quipped. "But New York State says you have to." A similar contradiction plagues American policy on disability. The Americans With Disabilities Act, passed with bipartisan support in 1990 at the urging of then-President George H.W. Bush, enshrines the notion that every American can and should hold a job regardless of physical or mental limitations. Employers who refuse to hire or promote the disabled may be liable in federal court. 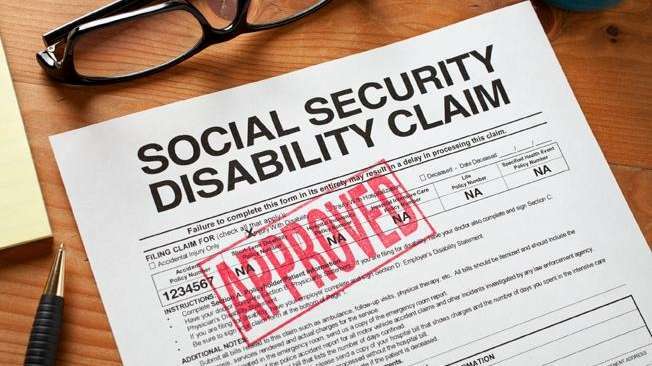 Social Security Disability Insurance, however, pays people who can show that they are too mentally or physically impaired to remain in the labor force. In short, for many workers, it creates a quasi-right not to work. This paradox is getting expensive. Social Security Disability Insurance spending has doubled as a percentage of gross domestic product in the last 25 years, according to the Congressional Budget Office. The program paid $128.9 billion to 8.3 million beneficiaries in fiscal 2011, about one-fifth of all Social Security spending. The average monthly benefit is $1,100, slightly less than the average Social Security retirement check, but after two years on SSDI, beneficiaries also get Medicare. Indeed, the program added $80 billion to the cost of Medicare in fiscal 2011. The disability trust fund, financed by a portion of the Social Security payroll tax, is set to run out of cash by 2016, though the government will undoubtedly borrow to meet its obligations. What's going on? Work hasn't gotten more physically demanding; quite the contrary. And there's no evidence that workers in general are substantially less healthy than they used to be. The answers lie in the disability insurance program's haphazard history. When adopted in 1956, the program applied only to workers older than 50 who were terminally ill or unable to work for the rest of their lives. It was essentially an early-retirement program for people with cancer, heart disease and other grave physical conditions. In 1960, however, Congress removed the minimum age requirement, and in 1965, it allowed people to qualify if they suffered from a condition rendering them unable to "engage in substantial gainful activity" for a year or more, including mental and musculoskeletal ailments. After that, the rolls swelled with people claiming crippling back aches and depression. Both the Carter and Reagan administrations tried to cull undeserving cases, but the resulting backlash was so strong that Congress actually liberalized the rules in 1984. In 2010, mental and musculoskeletal conditions accounted for 54 percent of all new cases. Though Washington pays benefits, states help decide who qualifies. And applications spike during serious recessions, as laid-off workers turn to disability when unemployment benefits run out. Thanks to the Great Recession, applications spiked in 2010 to an all-time high of 2.94 million, before declining slightly last year. This isn't to imply that all, or even most, beneficiaries are malingering. Indeed, some of the recent increase in enrollment would've occurred anyway due to the aging of the population. It is nevertheless true that the program offers all the wrong incentives: Employers pay nothing when their workers go on it. And for many workers, especially those with few skills, the alternative to a steady SSDI check (and, often, Medicare) would be a minimum-wage job, possibly one without insurance. More than 6 percent of the U.S. working-age population is on SSDI. Does that statistic represent laudable social solidarity, a scandalous excess of the welfare state or a tragic but unavoidable idling of human resources? Or is it an expression of this country's understandable ambivalence about exactly what we should expect from people who are disabled, in an age when we know that depression really does disable some people -- and that a man with two prosthetic legs can run in the Olympics? We have no choice but to reconcile our conflicting goals and sentiments in a more cost-effective way than Social Security Disability Insurance does now. Otherwise, the program's growth will continue to erode productivity, swallow up scarce tax dollars, and make it that much harder to afford a sufficient safety net for everyone who needs it.